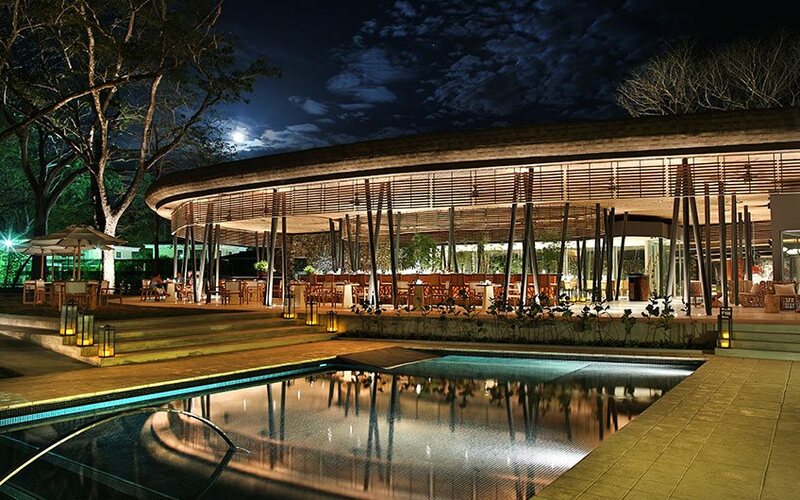 “Where mangrove and man meet to create a vibrant and unique life style” is the slogan of El Mangroove, one of the nicest luxury hotels in Guanacaste Costa Rica. 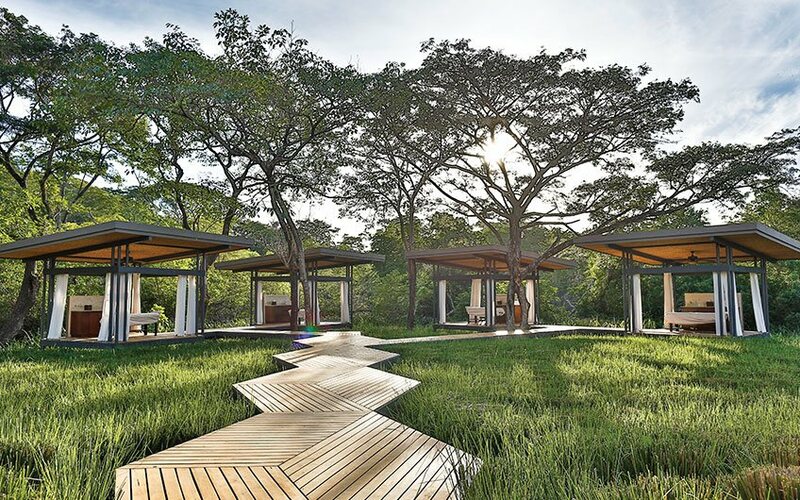 Located in Bahia Papagayo, at only 20 minutes from Liberia’s international airport, the property spans for 17 acres and embraces 150 meters of beach front. El Coco, an artsy and bustling beach town, is just 15 minutes away. You can get there by rented car if you prefer to be on your own schedule, or take escorted or shared transportation. If you are staying in San José, you can opt to a domestic flight that takes around 25 minutes to get to Liberia Costa Rica Airport. The resort offers 85 bohemian-chic suites that captures the simple yet exotic essence of Costa Rica with natural wood furnishings, regional artwork and contemporary stone finishes, four restaurants that will make you live a unique dining experience, a forest-charm inspired gym, a spa which include outdoor areas and multi-functional exercise decks, and live music nights for those with more energy. This Resort is also ideal for meetings and incentive events and offers over 7000 square feet of indoor and outdoor space: three additional conference rooms, covered ballroom terraces, an event pavilion, and other outdoor areas with panoramic views provide additional venues for spectacular themed events. El Mangroove is part of the Autograph Collection Hotels Chain, and although it opened its doors only three years ago, it has been already named by TripAdvisor as one of the best hotels in the Papagayo zone. 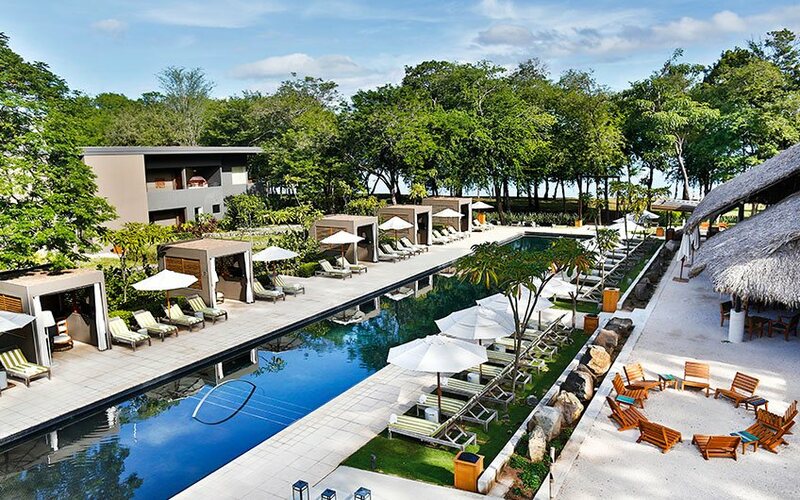 This amazing hotel can be on your family vacation in Costa Rica, it does not matter if you prefer land or water, there are different options for you. 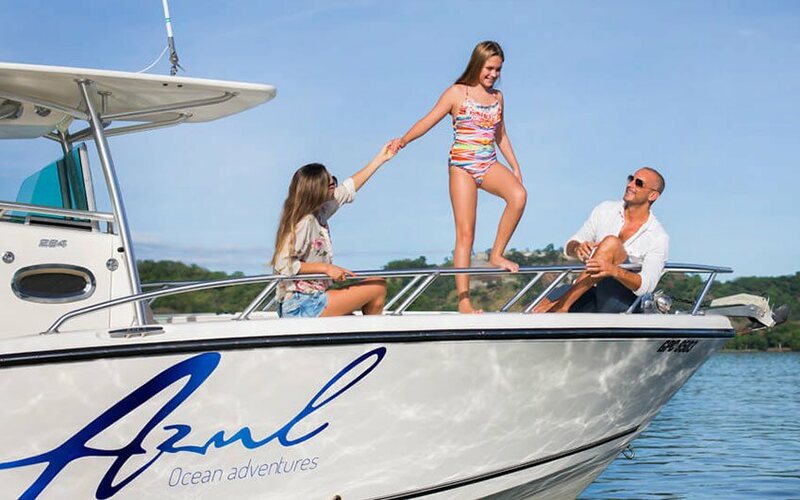 For water lovers, a recommendable tour can be a beach getaway, whales and dolphins tour, snorkeling, sunset boat tour, some surfing or surfing lessons for beginners, visit to San Rosa National Park, fishing time, and Stand Up Paddle. If you enjoy more land, you can take the adventure tour at Buena Vista Lodge, a typical tour at Hacienda El Viejo, visit Palo Verde National Park, some waterfalls, hot springs at Rio Perdido, rafting at Tenorio River, walk into Rincón de la Vieja National Park or different canopy Costa Rica tours. Location: it is located on the North Pacific area where the best Costa Rica beaches can be found. 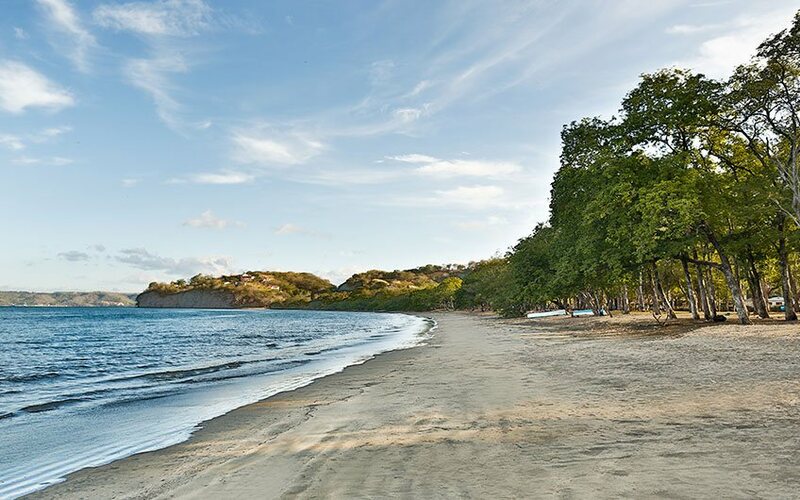 Papagayo area is one of the quietest and more exclusive beach areas in Guanacaste Costa Rica; this gulf is beautiful and scenic and there are a lot of attractions in the surroundings. The beach is perfect to swim and very clean, gray sand and blue water. Privacy: it is a relatively recent area in terms of development, most of the Costa Rica all inclusive family resorts or chain hotels are located close to Tamarindo, Conchal and Langosta beaches, the hotels that we can find in Papagayo are more luxurious, secluded and private as it is not a very touristy place, the beaches in general, especially Panamá beach are not too much visited. Comfort: Albeit it is a chain hotel, it is smaller than other located close by. It offers great dining options so you do not have to worry of go out for lunch or dinner, it is a beach front property so is not necessary to take a cab or shuttle nor drive to visit other beaches, however, if you want to explore more on your family trip to Costa Rica, you have more options in the surroundings. Romantic place: It is no secret that many people always dream about having a wedding on a beach, would you like your engagement there? On a nice beach, surrounded by beautiful nature, listening the waves, with the sand on your feet. It is one of the best Costa Rica honeymoon hotels, the suites, nature, landscape and dining experience make the perfect ambiance to make your dream come true. Facilities: Your Costa Rica vacation, should offer you pleasure and not worries nor difficulties, and we are not just talking about the hotel facilities, but about the surroundings too. There you can easily find markets, shops, attractions, transportation, restaurants, ATM´s, and easily have communication with your family or friends. Remember that best family vacation in Costa Rica, should include beach and we recommend you to consider the inclusion of El Mangroove Hotel in your Costa Rica vacation package for your next visit. Please leave us a comment or contact us to start working on your itinerary for next holidays.